August | 2014 | I run. Quite a lot. It makes me happy. We had been planning to do this for some time. Having been immersed in Clair parkrun in Haywards Heath for well over a year now, it was time to visit Bushy Park, the big one, the original. 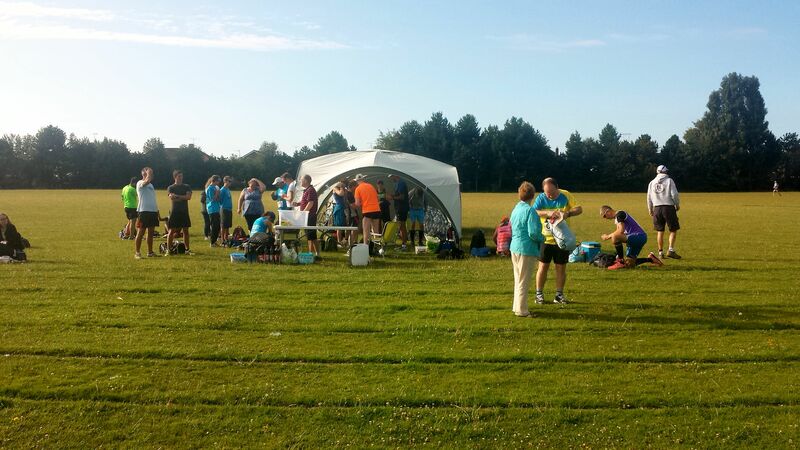 The great thing was that we had a big group of parkrunning Burgess Hill Runners who joined us as well. So we all met for a 7am drive up to Bushy Park on a beautiful, if rather chilly, Saturday morning. 75 minutes later, we’re there. The park is beautiful. It’s huge. 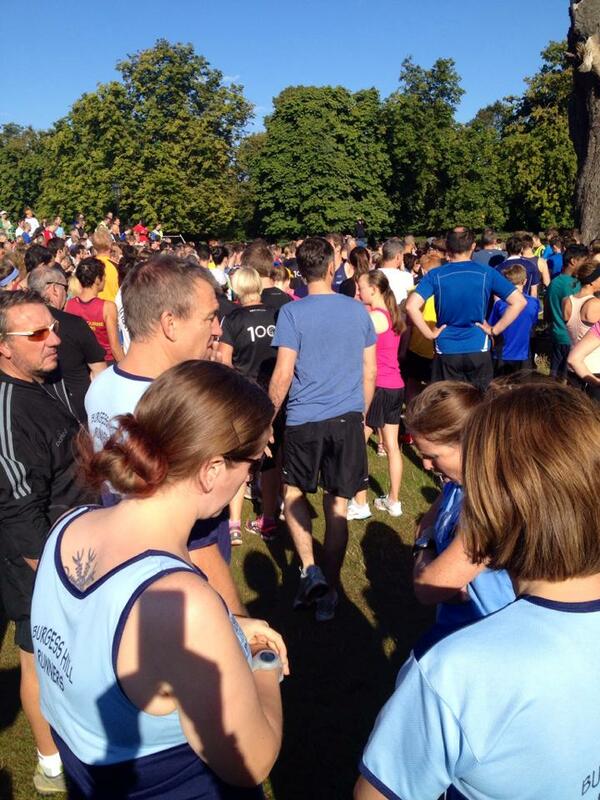 In fact, the park and the parkrun are so incredibly different from Clair Park. Bushy parkrun in flat. Totally flat and it is one lap. Clair parkrun, as we all know, is over 4 laps and hilly. 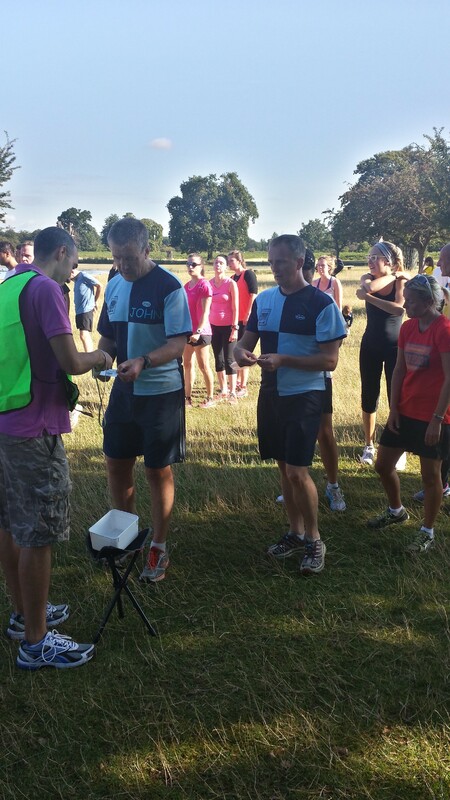 The attendance at Bushy Park regularly numbers in the region of 1,000 runners. There are so many people, they have a mobile PA system to do the event brief. It makes our event look tiny (not that we’d have it any other way). The start of the course is probably 15 metres wide as the field spreads out over the first kilometres and the whole event is run over wide open pathways. The number of volunteers required is amazing. The finishing funnel is so long. There were probably as many people volunteering in the funnel as we have at our event in total. 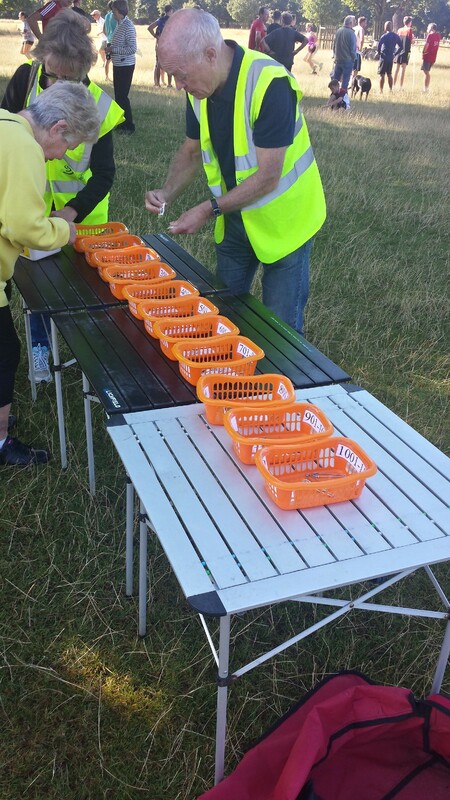 They have 5 scanning stations, making the queue to be scanned no longer that the queue at Clair Park. The job of sorting the tokens is obviously a huge one and without real organisation, would take an age. 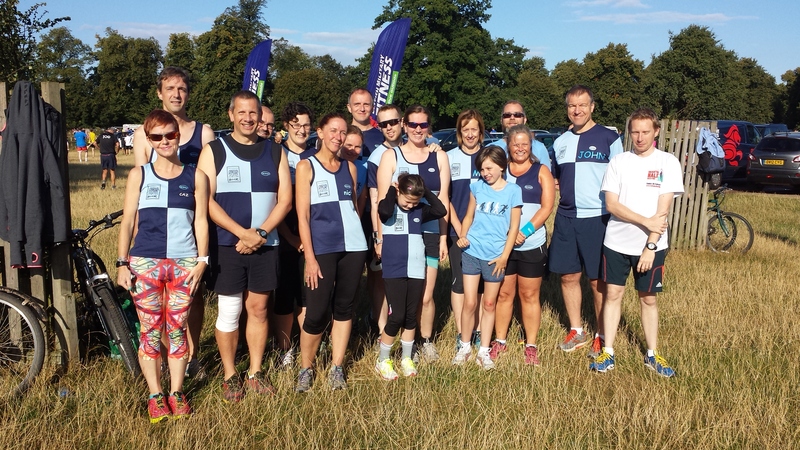 The differences between our event and Bushy Park are clear for everyone to see. More importantly though, the similarities are pretty stark too. As we arrived in the park, we were pointed in the right direction for the start by a very friendly lady wearing a 250 club t-shirt. When we got to the start, the welcome was warm and the same lady who pointed us towards the start line offered to let us store our bags and spare clothes in her car. There is the same sense of anticipation before the start of the event, knowing that the next 16 to 50 minutes were going to be painful. The volunteers were friendly and encouraging, which something that we pride ourselves on at Clair. There is the usual huge age and ability range. There were 33 minutes 56 seconds between the first and last finishers. The age different between the youngest and the older runner was around 75 years. The oldest runner, Madge Bradsell, completed her 308th parkrun. She completed the course in just over 39 minutes by the way. Amazing. There are 2 places to grab a coffee after the event, giving you the chance to catch up with friends and talk about the run. 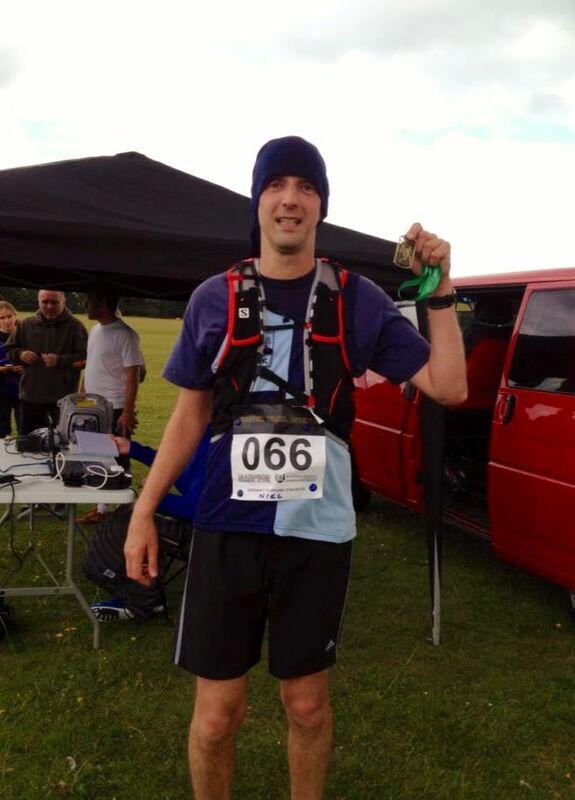 It was a very special day for one of our young Burgess Hill Runners. 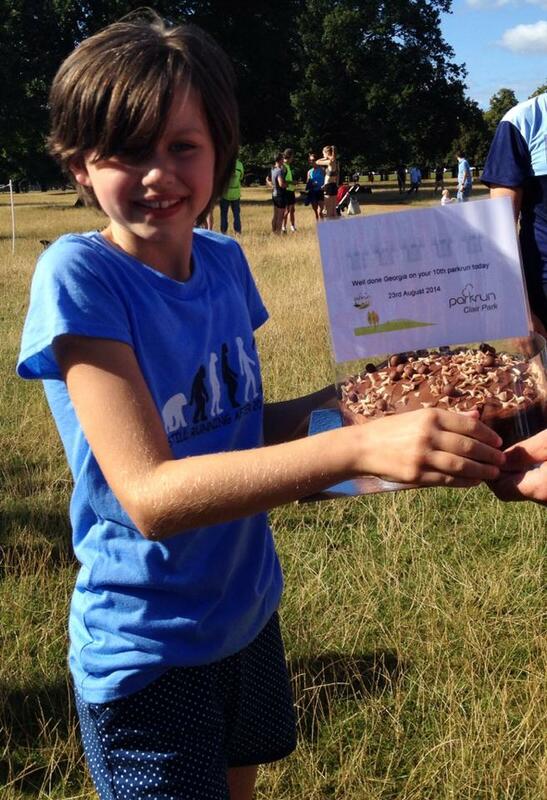 3 months ago it was impossible to think that Georgia would be completing her 10th parkrun in a field of 920 runners. Despite taking a fall on her way to the event this morning and hurting her knee, she did it. And we ate cake to celebrate the morning. It would be rude not to. 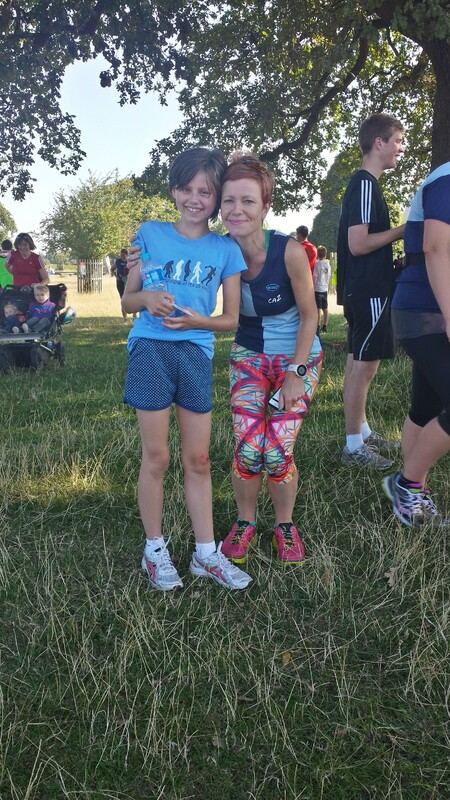 It is always great to spend time with our junior runners and Beth proved that this morning. 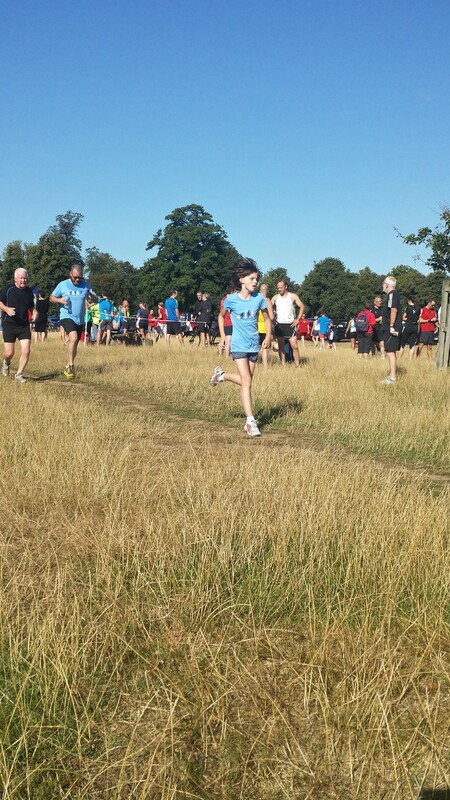 I can’t imagine that I would have taken an event of such a size in my stride at her age. Her boundless energy and enthusiasm are always a joy to share. Finally, to round it off for me, I battered my 5k PB. 23 minutes 33 seconds. A good 20 seconds off my previous best. So there it is. 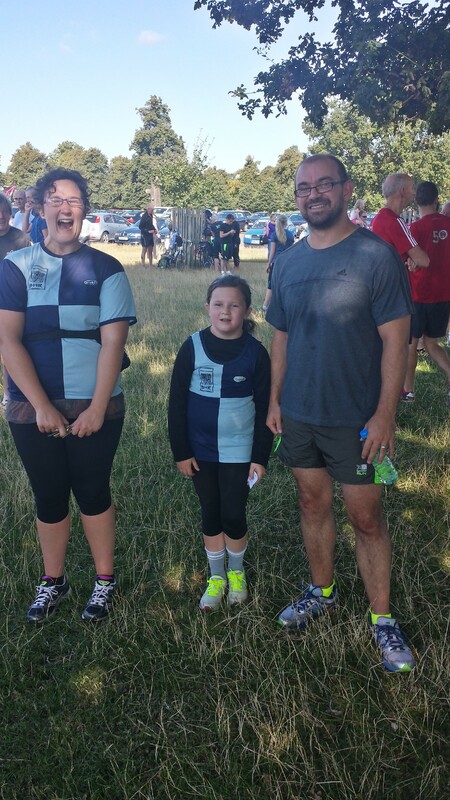 Our visit to Bushy parkrun. Thank you all you BHR and Nic Bowker for sharing it with me. 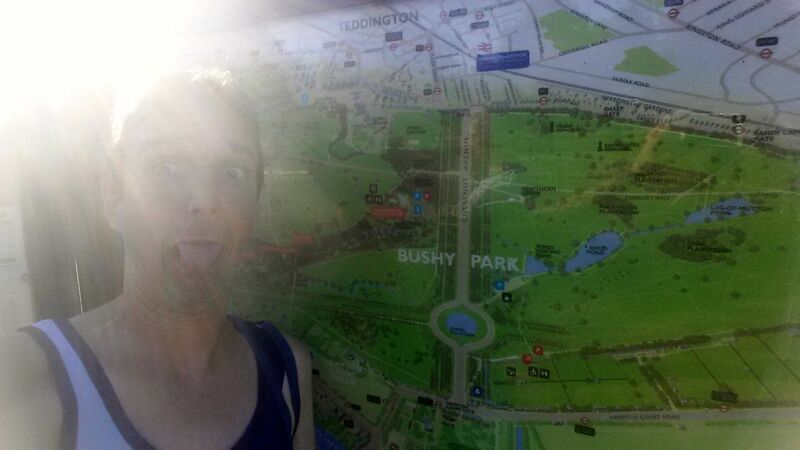 Thank you Bushy Park for being so brilliant (and we saw some deer on the way out). Take care and have fun, Neil. 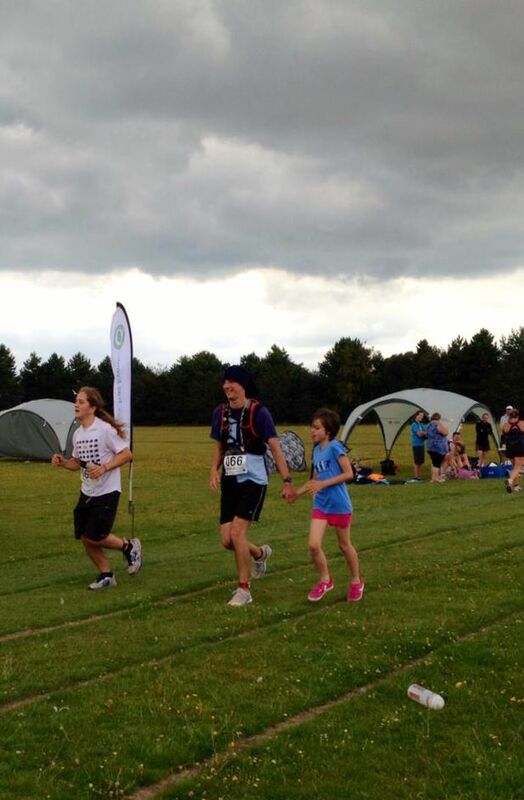 26 miles, 106 laps of a 400 metre track. That’s the Lemmings Marathon in a nut shell. Rubbish idea, don’t you think? It’ll be as dull as dishwater. As runners, we’re always out for a new challenge and that’s exactly what the Lemmings marathon is. Mentally it’s very tough. Apart from the fact that the scenery is repeated over and over again, I found counting down from 106 to be draining. I measure my runs in kilometres, but mentally counting down from 106 seemed much more daunting than 42 kilometres. Apart from the usual strains that a marathon puts on the body, this one uses the same muscles all of the time. As there are no hills, there is no respite of going up or downhill. That’s what makes this so tough. There are many things that make this event as good as it is. First of all, the majority of the runners are in the same boat as you. They have never done a track marathon before and are doing this out of curiosity. I did look up a few times at the start and think that it must have looked a bit crazy if you didn’t know what was going on. 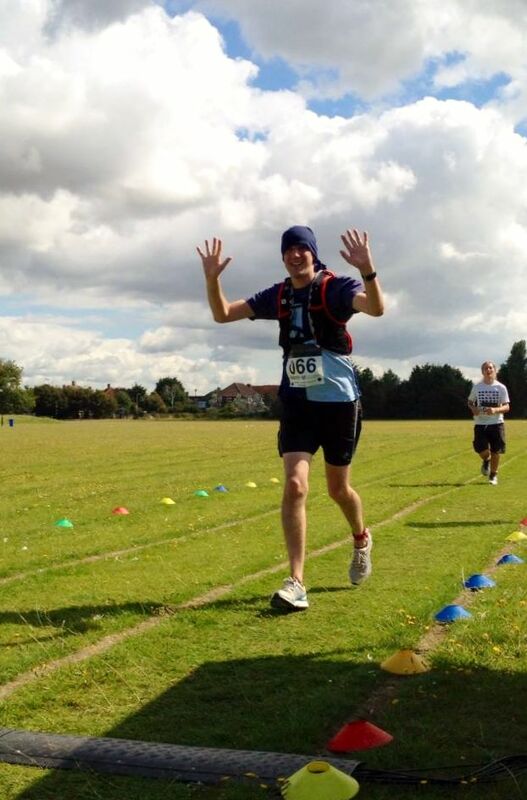 There is more of a chance of mixing with fellow runners, as you pass and are passed on so many occasions. You actually get the chance to share the event with the front runners, as they are never more than 100m or so away from you. You are also never more than 400m of running away from the aid station or your kit bag. 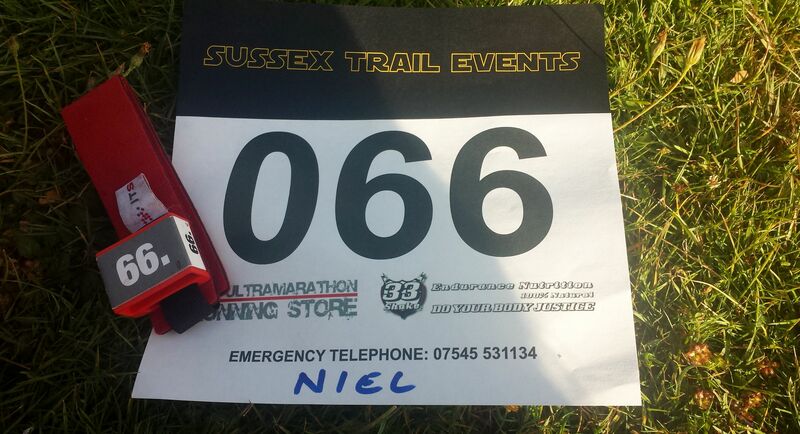 In true Sussex Trail Events style, the aid station was stocked with the usual goodies. 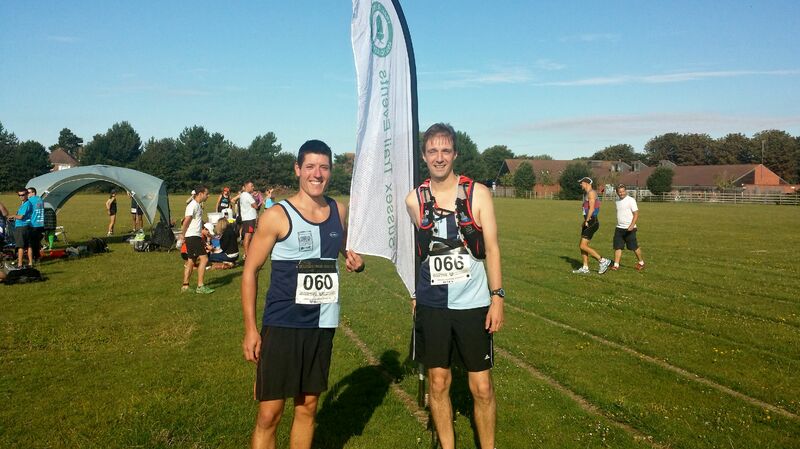 The Sussex Trail Events team also came up with a fantastic idea for the end of the race. As the runners approached the start of the last lap, they sounded a cow bell and the runner finishing turned around and ran the last lap in the opposite direction. Not only did this give the runners the chance to say well done, it seemed like a huge boost for those still out on the course. For the spectators and the organisers, it was also a pretty unique experience. You only usually see the runners at the start, the end and maybe at one stage during the marathon. Seeing the runners every 400m throws up its own challenges. You need to work out when people need encouragement and when they really don’t want to hear from you. You also get to see them going through the bad patches which are normally hidden from view out on the course. So, if you’re looking for a challenge this really is something that you should look at when it makes a re-appearance in 2015. Ideas have been floated for a 6 or 12 hour challenge. Whatever it is, I will certainly give it serious consideration. Thank you to the supporters, the runners that I met and the organisers for all of the support and encouragement. Perfect timing in the Downslink training cycle and this has certainly given me the confidence that I can achieve that goal.